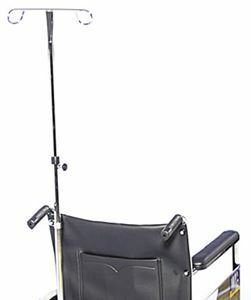 Telescoping IV pole attachment by AMG is designed to fit most of the standard wheelchairs. Features dual loops that support for upto 2 IV bags. The height of the telescope stem can be easily adjusted based on the comfort of the users.